The Sweet 'n Sassy Stamps designers are celebrating Fall with a Frenzy! We're having a blog hop today to showcase our SNSS Fall sets. Yay!! If you just happened on the blog hop because you're a regular reader of my blog, and you'd like to view the entire hop, you can start back at the Sweet 'n Sassy Blog - you'll find a full list of participants there, and all the details you need. If you're already hopping and you arrived here from my sweet friend Bridget's blog you're doing just fine. Remember, one lucky commenter will win a $25 credit to the store, so leave love wherever you go! I used a combination of my own dkdesigns sets for my card - Vintage Postcard, Friendship Script Background, You, and Season of Change, in addition to the Season of Change dies. I stamped the leaves on linen cardstock, using a Kaleidacolor pad. Here's a closer look at the die-cut elements - this was really the first time I've used the leaf dies to cut out the stamped images, and I was impressed with how tight the cut really is! I used the Friendship Script background stamp on the correspondence side - to get the uneven edge I held the stamp in my hand (not on a block) and just pressed down where I wanted the text to print. 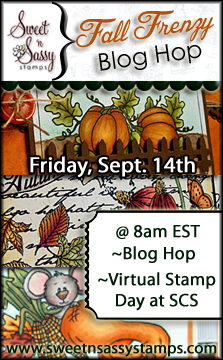 We'd love for you to join us over at the SNSS forum at Splitcoaststampers! There will be challenges posted throughout the day. And prizes! 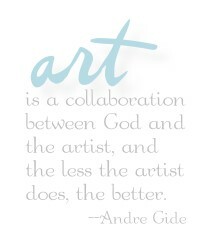 After you leave a comment here you'll be hopping on to Jennifer Ingle's blog - she is our guest designer this month! Hope you are enjoying the hop! 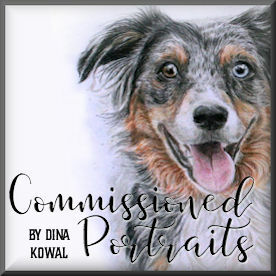 Dina Kowal ----------------- that's me! When you're done hopping, be sure to join us for a fun day of challenges and prizes over in our Splitcoaststampers forum! WOW! That is just breathtaking! Truly stunning in all ways. Your card is more than a card - it's an Autumn work of art! Simply stunning with all of those amazing details and distressing! Gorgeous! Gorgeous! I think that's frameable!! Clever use of the distress look! Perfect for Fall. Super Card! Love so many things about it! WOW! Just gorgeous Dina! A wonderful fall tribute to all the amazing stamp sets you have designed! Love the vintage feel of your card! The leaves are beautiful! Gorgeous combo of stamps, design and textures. Wow!! Gorgeous design, Dina! A perfect combination of these stamps. Great texture as well. Wow! This is just completely wonderfully gorgeous! wow! love all the detail! I love your vintage card! I love your rustic creation! Great card! Love the multicolored leaves! Amazing Dina!! What a beautiful card! Thud...gorgeous postcard design Dina!! The distressing and layers are fabulous! Lovely--I like the vintage look. Lovely card Dina. Such pretty fall leaves. The colors are beautiful.. .also love the postcard with the script image. I love the postcard set..just got it and haven't inked it yet! Can't wait to try with all your inspiration -- thanks! I love this card it is so my style. thanks for the inspiration. Oh, wow! This is stunning. I love all the layers and details on your card. Beautiful and so shabby chic! I love it! Dina, Neat use of an array of images! Marie M.
Cool combo of stamps, layers, distressing and embellies. very nice. Dina, I love your stamp designs wherever I see them, but you really know how to display them to the best advantage. Beautiful! It feels like fall is on its way! I'm in love with your card! It's gorgeous. Tres SHABBY CHIC and so vintage -- wonderous!!!! gorgeous fall card. love the shadows and the brights. What a great combination of colors, shapes and textures! Mahalo for sharing how you stamped the printing - cannot wait to try this! Oh Dina! I love your card so much with all those layers and beautiful colors and textures!